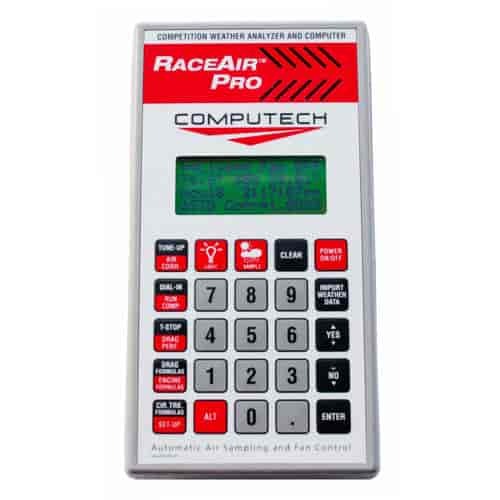 The Computech RaceAir Pro digital weather station has many great features such as automatic air sampling, internal fan and precision digital sensors for consistent air readings, plus programs for drag racing, circle track, road racing and karting. Some of the programs included are throttle stop/run complete/test and tune/chassis set-up and Holley jetting. 1000 is rated 5.0 out of 5 by 1. Rated 5 out of 5 by HotRod345X from Everything as advertised! Love it! Going to help out alot with dialing my car for super street!